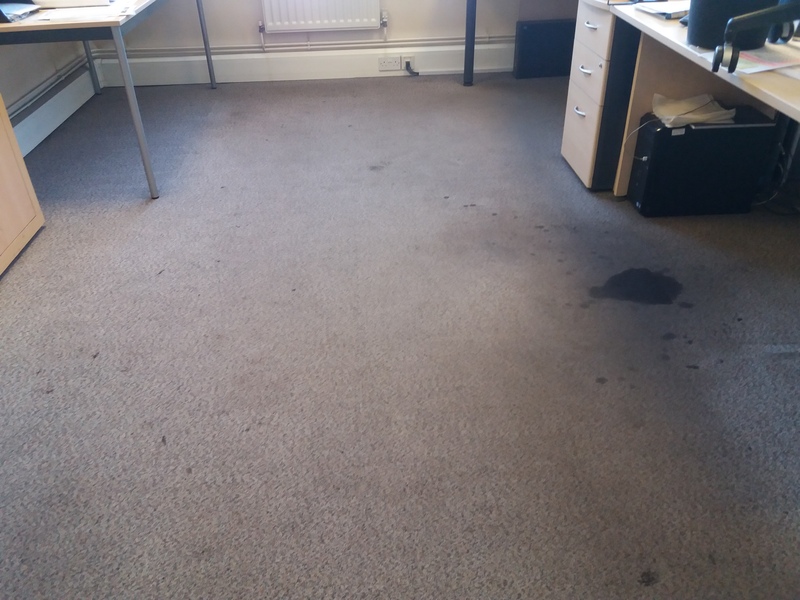 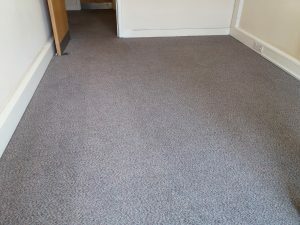 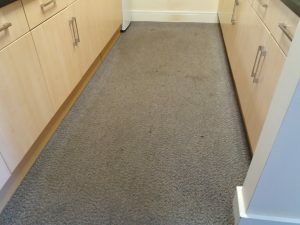 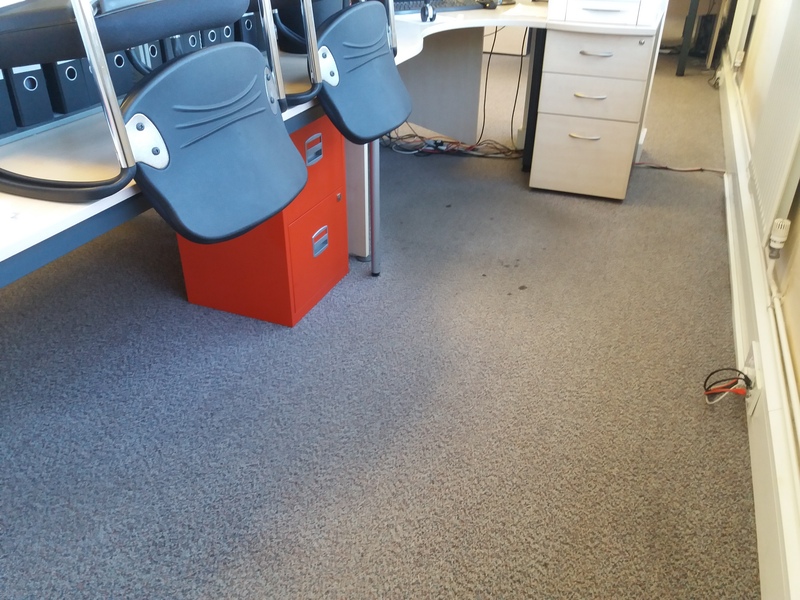 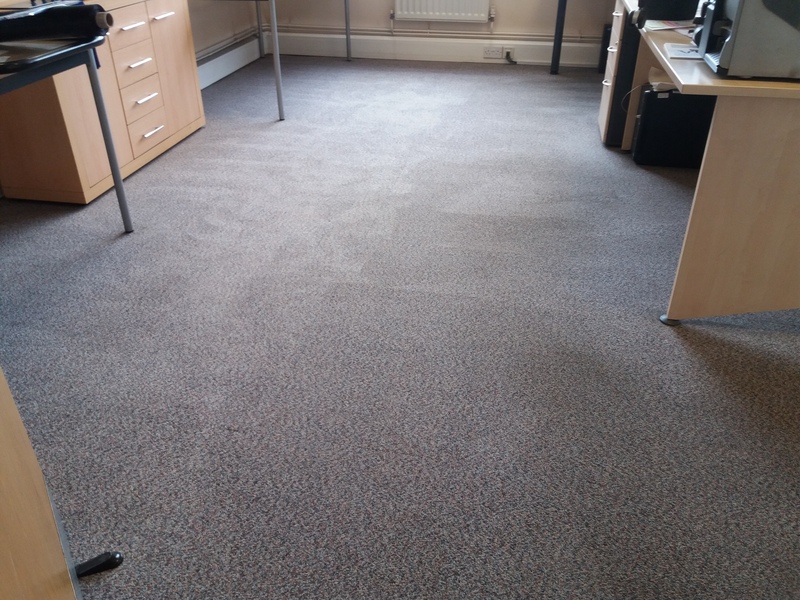 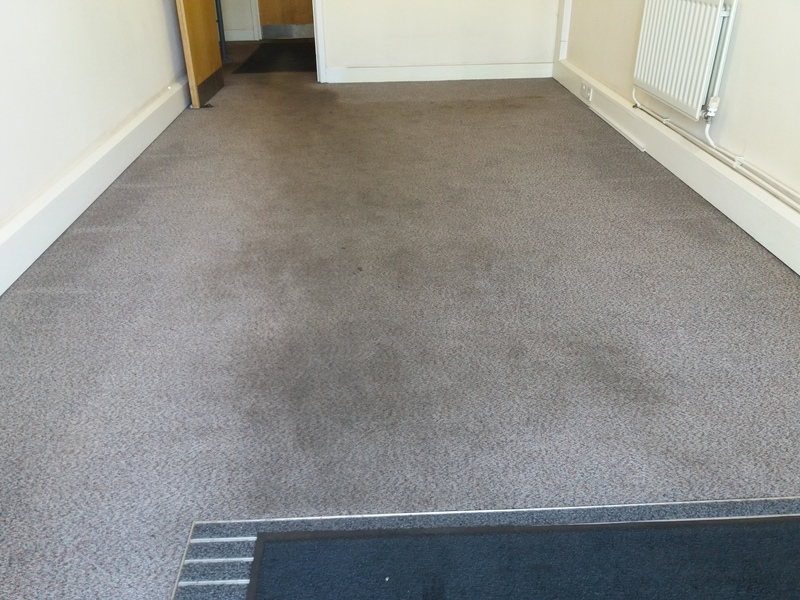 We clean these carpets in an office environment annually but they were extra grubby this time around! 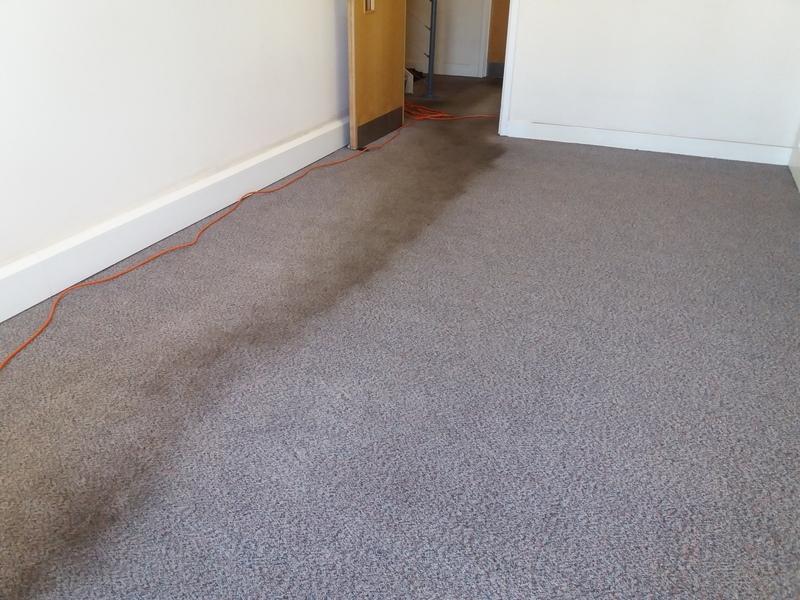 See the before during and after below – what an amazing difference 🙂 Our carpet cleaning process is very quiet with minimal disruption, and the best thing is the carpets were dry within a couple of hours! 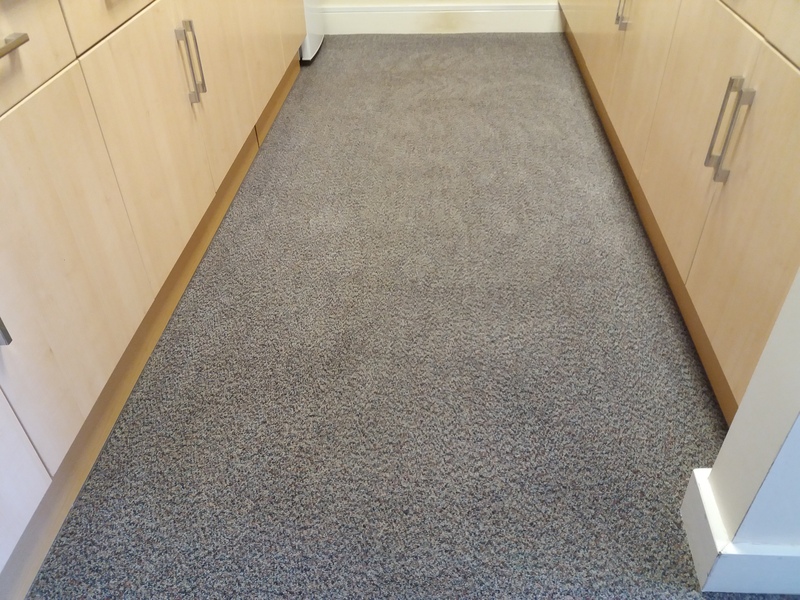 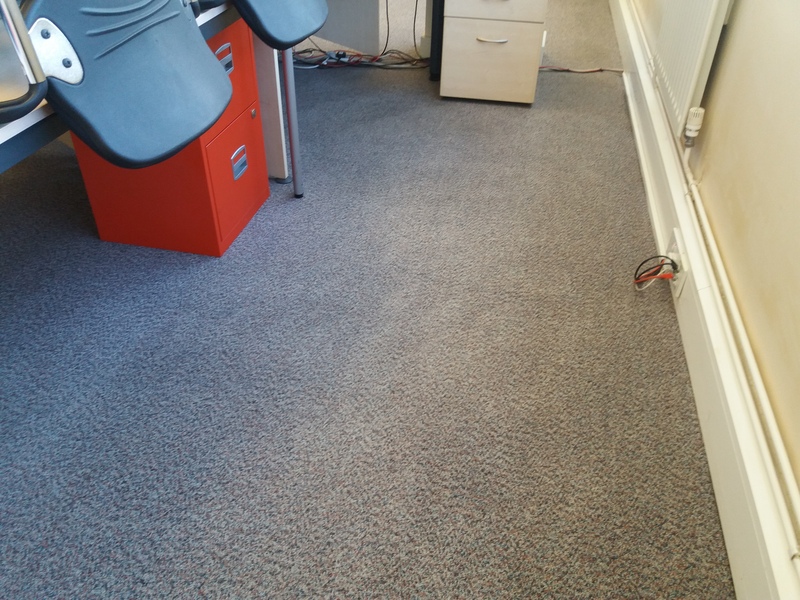 Office carpets and commercial carpets generally clean up really well as most are low profile, polypropylene carpets or carpet tiles which are great for cleaning. 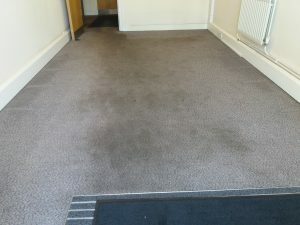 Here are a few more photos of the grubby, marked and stained carpets which are now looking lovely, fresh and clean! 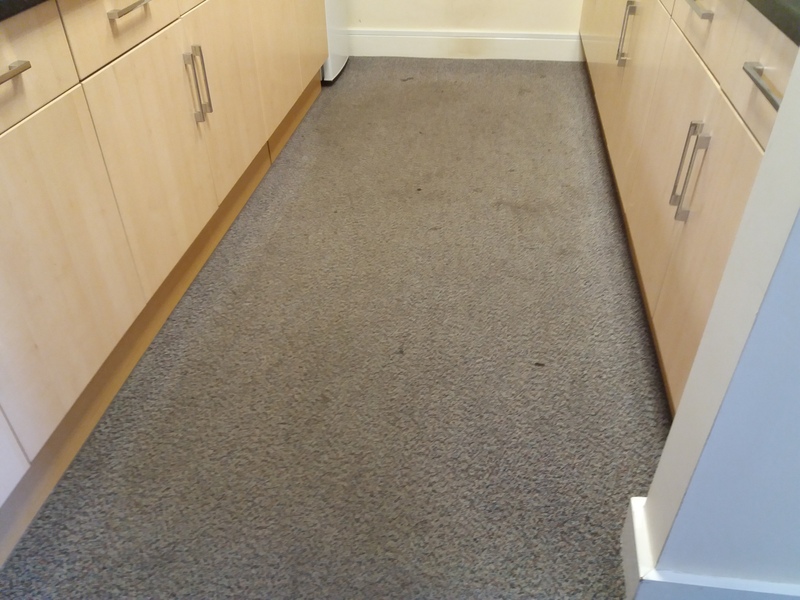 We can clean carpets in Oxford and surrounding areas for both domestic and commercial clients and would be happy to hear from you. For an exceptional carpet clean in your offices in Oxfordshire, contact us today for your free no obligation quote and maintenance plan. More about our commercial carpet cleaning in Oxford.